Wouldn’t it be wonderful if you could get notifications from your Android phone in your PC as well? 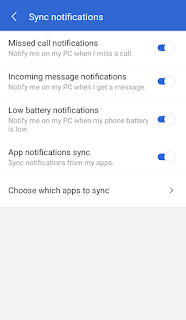 For instance, if you are working on your PC and you get a notification in your phone but the Android phone is nowhere near you or you are just a bit lazy to go get your phone, and you start wishing that you could get the notifications in your Windows 10 PC. There is a way. With the help of Cortana, you can get notifications from your Android device in your Windows 10 PC too. 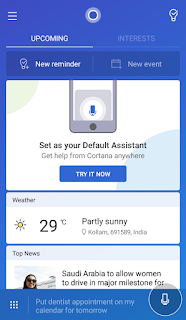 To enable this feature, you need a Microsoft account and you will need to install Cortana for Android on your Android device. Perform the following the steps, to get android notifications in your Windows 10 PC. Download Cortana for Android from the Play Store. After downloading the app, sign into your Microsoft account. The account should be the same account that is connected to the PC. If you do not have an account, create one. After the account setup is completed, you will be taken to the home screen of the app. You will have to grant Cortana permissions to access Missed Calls, Contacts and SMS. After that you can go to Settings, and select the notifications you want to receive in your PC from Sync notifications. You can also specify which App Notifications you should receive. 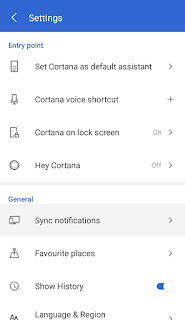 You should also grant Notification Access to Cortana, so that Cortana can access notifications. 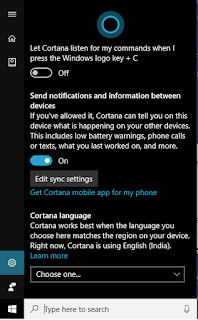 On the PC side, go to Cortana settings and turn on Send notification and information between devices. Also make sure that you have logged into the same account in your PC. Your devices need to be connected to the Internet as well. You are all set to go. Now you can receive notifications from your Android phone in your Windows 10 PC. 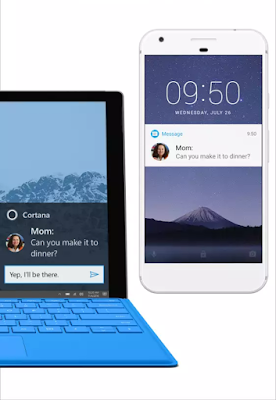 Cortana for Android can also be used as a digital assistant just like you can in your Windows 10 PC.